A study of reusable water bottles by the Consumer Council of Norway has found many of the 11 products tested leached small amounts of lead, phthalates, bisphenol A and other hazardous chemicals, albeit in levels well below current limit values. The consumer protection organisation said it tested plastic bottles bought from various shops in Norway, most of which can also be bought in other European countries. Researchers said they found "surprisingly many" unwanted substances, with regulated chemicals among them. Several of the substances were either forbidden or restricted by law. "None of the bottles examined causes a health hazard taken in isolation. However, taken together with all other products we surround [ourselves] with, they can contribute towards a total exposure to chemicals that can be worrisome," the Council said. Two of the 11 water bottles tested are marketed to children and many others are used by children in schools and kindergartens. The 'Hello Kitty' bottles, marketed for children by Japan-based Sanrio, leached 23 substances associated with adverse health effects with a total concentration of 6,2 micrograms per litre, the Council said. Small amounts of hazardous chemicals including chlorinated paraffins, phthalates, bisphenol A, flame retardants and lead were found in the Hello Kitty samples. "Products that our children use every day should contain as little hazardous chemicals as possible," the Council’s head of section trade, Gunstein Instefjord, said in a statement. The Council's 21 August report, Analyses of selected organic contaminants and metals in drinking bottles, said that the 11 drinking bottles were bought in December 2017. Three samples of each bottle were tested. Sanrio told Chemical Watch that the 'Hello Kitty' water bottle in question was manufactured in 2013 by a former licensee K.E. Mathiasen, a company subsequently acquired by the retailer Top-Toy in 2013. "Top-Toy have since confirmed to us that they asked for any remaining product to be removed from their stores, but it appears there were none left in stores," Sanrio said in an emailed statement. Sanrio includes contractual clauses with all licensees which cover all applicable product testing laws and regulations in all product categories, the company added. 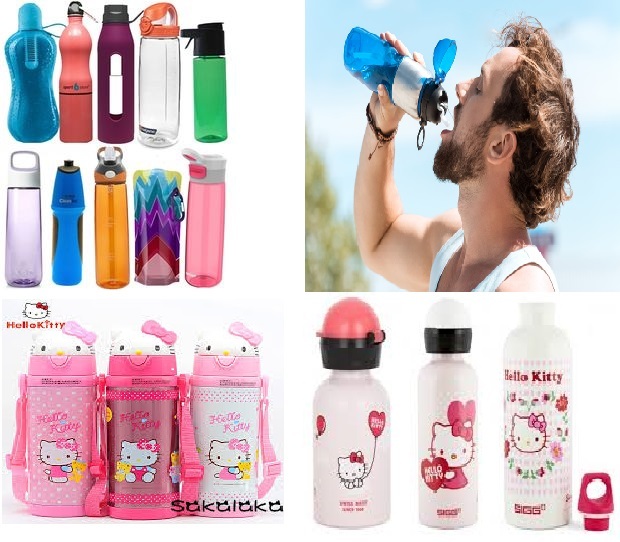 Top-Toy said the 'Hello Kitty' drinking bottle is well within the safety standards set by the EU: "For example, the total emission is measured to be 6,2 microgram per litre, which equals 0,00000062%. In comparison EU’s limit is 60 milligram – ten thousand times higher than the value found in the Hello Kitty drinking bottle." The retailer said "only very few examples of the drinking bottle still existed on stock in a couple of our around 300 stores in the Nordics". The Council's Mr Instefjord said it was possible for manufacturers to make drinking bottles that leach fewer unwanted chemicals into their contents. Ikea's Behållare bottle, for example, ranked first in the test of 11 bottles. The product leached only three compounds with a total concentration of 0,07 micrograms per litre. Ikea told Chemical Watch that all company suppliers must comply with the supplier code of conduct (IWAY) and the company's restricted substance lists. "Ikea wants to minimise, or totally refrain, from the use of chemicals that can be harmful to people and the environment. We often remove potentially harmful chemicals even before they are legally banned," the company said. "We work with risk assessments before production, tests in production and tests of final products both at our own laboratory and at external third party laboratories to verify compliance," Ikea added. The Consumer Council of Norway tests were conducted in conjunction with the Norwegian Institute for Air Research (NILU). The aim of the project was to test out for leakage of selected organic contaminants and metals in bottles provided for analyses. The Council is a state-financed, independent interest organisation that helps consumers and influences governance and business in a consumer-friendly direction.